Your space. Your health. Our Clean! Want shining floors and clean carpets? Unmatched expertise. We know Data Centers. We are a janitorial and commercial cleaning company. We clean offices, office buildings, office suites, medical offices, retail spaces, daycare centers and more. We also provide a full line of floor care services such as buffing, stripping & waxing, and carpet cleaning. We offer one-time cleaning services, short-term cleaning services and long-term contract based cleaning services and any combination of these to fit your exact building maintenance needs. As an ultra-responsive cleaning company, we listen to your needs, develop your custom cleaning program and then we consistently deliver. Backed by 25+ years of professional cleaning experience and our rock-solid references, you can be confident in our cleaning expertise! Need a commercial cleaning company in Annapolis, MD? Look no further than Foreman Pro Cleaning. We provide cleaning services for all types of properties – if you need a cleaning service for your business, we can help. Contact Foreman Pro Cleaning today for your free estimate! 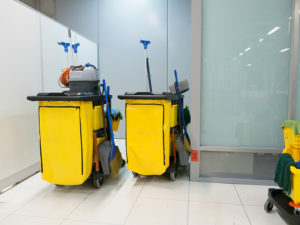 Keeping your office or retail space clean can be a challenge. But it’s necessary. A clean office or store creates a strong first impression with customers and ensures you consistently meet health and safety standards. How can you get it done consistently? Foreman Pro Cleaning can help! 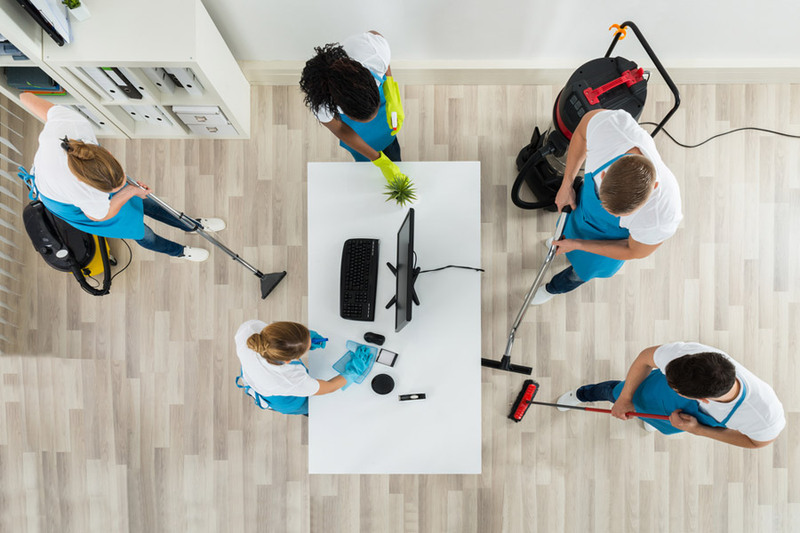 Our team of highly trained and carefully selected cleaning specialists offer on-demand service and have the expertise to keep your office or retail space sanitary and tidy. No matter the type of office or retail space, we can help. We clean single rooms, office suites, and all types of retail spaces – from stores and banks, to dance studios and auto dealerships. Some commercial spaces require specialized cleaning service. For example, our Medical Office Cleaning Technicians are highly trained in addition to receiving third party OSHA compliant bloodborne pathogen training and certifications. Medical Office Cleaning – Careful and methodical cleaning for medical facilities, doctors offices, clinics and the like in Annapolis and surrounding areas. Data Center Cleaning – Thorough cleaning for data centers, server rooms, and other technology facilities. Daycare Cleaning – Detailed cleaning to keep daycare and child care centers in health code compliance. Construction Cleanup – Complete interior cleanup services for newly constructed buildings. Floor & Carpet Care – Comprehensive floor cleaning services: Stripping & waxing, burnishing, polishing, and carpet cleaning. Contact us now for a free estimate for your commercial cleaning project. Submit this simple contact form and we will call you back ASAP!